Tiger Woods will sit out next week’s U.S. Open at Oakmont. This has been in question for quite some time, but the golf community finally has a solid answer. In a statement released on Tiger Woods’ official website, the three-time U.S. Open champion revealed that he will not be playing at this year’s tournament, which will be held at Oakmont Country Club in Pennsylvania. He also announced that he will miss the tournament that Woods hosts himself, the Quicken Loans National, held at Congressional Country Club in the Washington, D.C. area the following week. “While I continue to work hard on getting healthy, I am not physically ready to play in this year’s U.S. Open and the Quicken Loans National. I am making progress, but I’m not yet ready for tournament competition,” Woods said in the statement. Tiger hasn’t played in the PGA Tour since tying for 10th place at August’s Wyndham Championship in North Carolina. Having not won a tournament since 2013, in which Woods won five times, he found himself in contention for the first time in a while as he played Greensboro for the first time in his career in an attempt to get in the field for the PGA Tour’s FedEx Cup Playoffs. He was tied for the lead heading into the weekend, but a missed putt on the 18th hole on Saturday kept him out of Sunday’s final group. While everybody else shot low, Woods recorded a 70 in the final round to finish four strokes back of Davis Love III. Last September, Woods announced that he had undergone a second microdiscectomy surgery (his first was in March of 2014 which resulted in him missing four months, including The Masters) on his back, and just a month later, he announced that he also underwent another procedure, explaining that it was just something that he had to do and wasn’t able to say when he was to return. “It’s one of those things that had to be done. I have an outstanding team of doctors, and I’ll be back as soon as I can. The last one, it took me awhile to get back. Some players on Tour have done the same procedure, and to be back pain-free it took them over a year,” said Tiger. If it does end up taking Tiger a full year to return, that would also keep him from playing The Open Championship at Royal Troon in the UK and the PGA Championship, the last shot at glory every year, at Baltusrol in New Jersey. 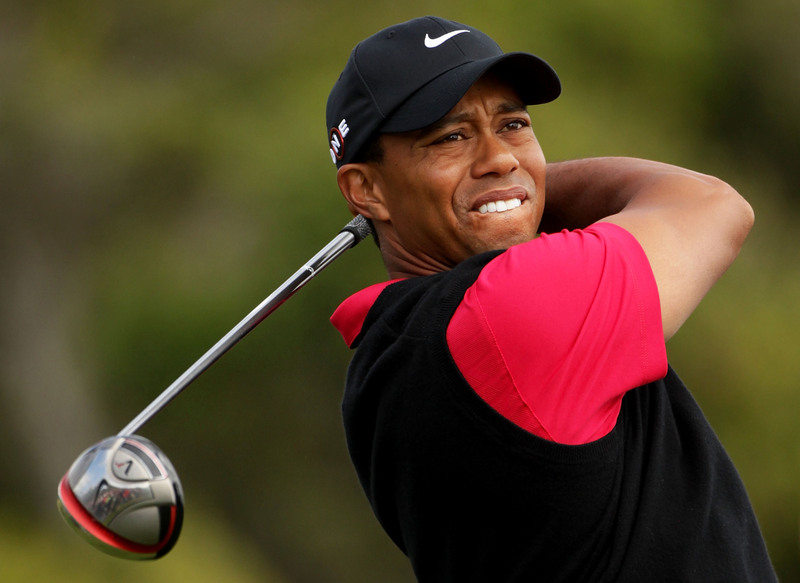 Since he turned professional, Tiger Woods has never missed all four major championships. Tiger Woods currently has 14 Major Championship victories, four behind all time leader Jack Nicklaus.